Hot Toys has such a hard-on for Iron Man that now they're making figures based on designs that were never even in the movies! This gives me hope that there might be some limited-edition re-releases of the first movie armors, maybe with interesting variations. Im digging that concept/Winter Soldier Captain America, more! I dont see the value to that Iron-Man deco. Looks he has sleeveless which he has had before in the golden age & silver age that looked good but, imo this does not. Its expensive enough keeping up with just HALF the armors the last few years. 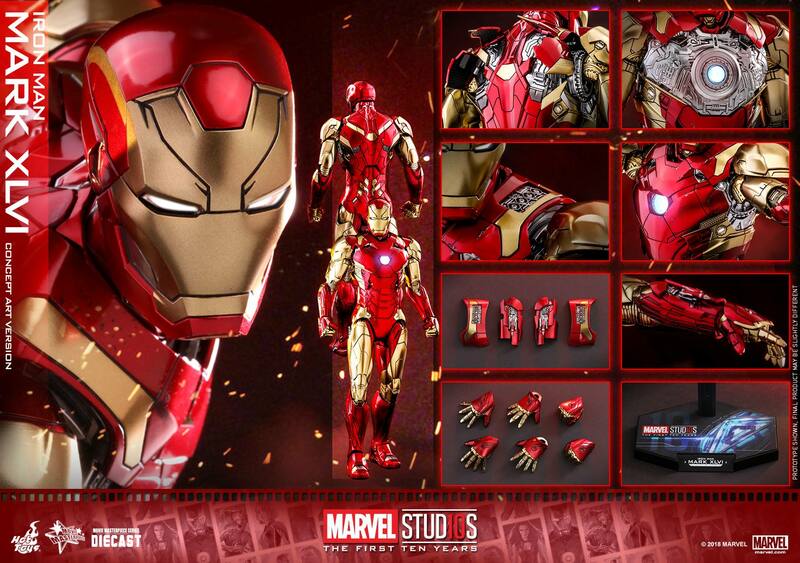 Rather put the money towards Tony Starks ACTUAL armors. It's cool and all but all of their new DC IM stuff is like $400 plus. No thanks.